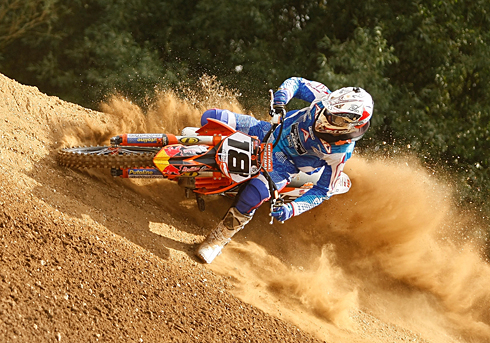 At Washbrook you can have a motocross experience day for all the family. If any member of your family has ever wanted to have an off road experience day all you need to do is book in and have some fun. These are available for children and adults. Just click on the MX Try-Out icon at the top of the page for all prices and information regarding the days or give us a call on 01354 740442. Washbrook has a selection of bikes we hire out for a days practice. If you have experience and fancy a ride give us a call to discuss the requirements and prices on 07710 806663 or 01354 740442. Available for children and adults and Group bookings are also available. Washbrook Wednesdays will be back in 2019 for some mid week practice in the summer.... Everything will run as a normal practice day. Buy over the phone if you wish and we will send your voucher to you in time for Christmas.... Call us on 01354 740442 today. We are open Monday to Saturday from 8am till 5pm for anything you may need for your bikes or clothing and accessories to keep you riding. Give us a call to order on 01354 740442. Didn't know we sold brand new bikes, click the TM link at the top of the page to see the full range of MX and Enduro bikes available and give us a call to discuss anything you would like to know about the TM range. Don`t forget to keep your bike in top condition this winter ready for next seasons race meetings. At Washbrook we have fully equipt workshop and repair and service all bikes 2 and 4 stroke. We do full engine rebuilds and service and repair forks and shocks. We supply and fit tyres, tubes, chains and sprockets and these are all for sale in the shop along with all servicing oils you may need plus much much more. New in house DYNO facility for bikes, karts and quads. Please give David a call on 01354 740442 and he will be glad to help. For tracks info please call - 07710 806663.